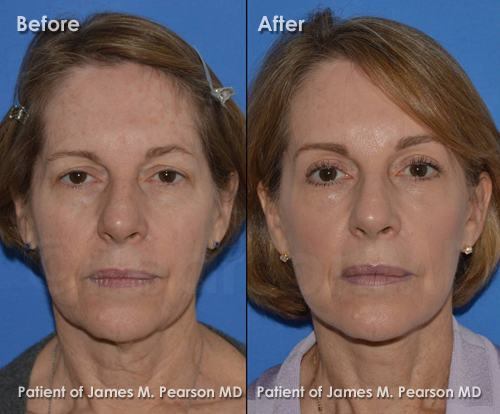 Photos demonstrate appearance of lower facial aging including jowling, neck skin laxity and volume loss, as well as upper facial aging including brow descent and extra eyelid skin. 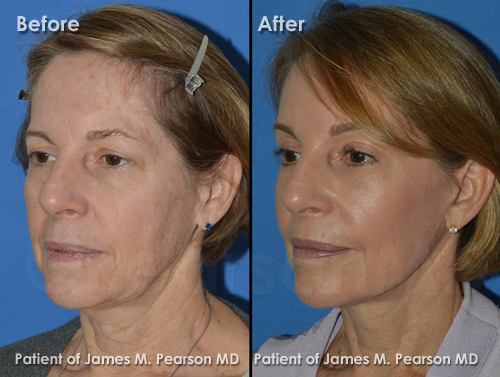 This patient underwent a lower facelift and neck lift, browlift (endoscopic), upper eyelid lift (blepharoplasty) and fat grafting (fat transfer) to the face. 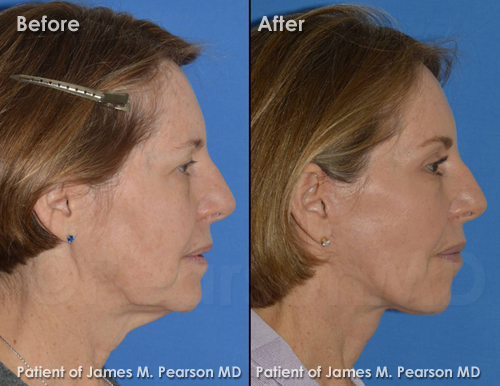 After photos demonstrate that the pre-treatment jowling and neck skin laxity are substantially improved, the angle between the chin and the neck is defined and rejuvenated. 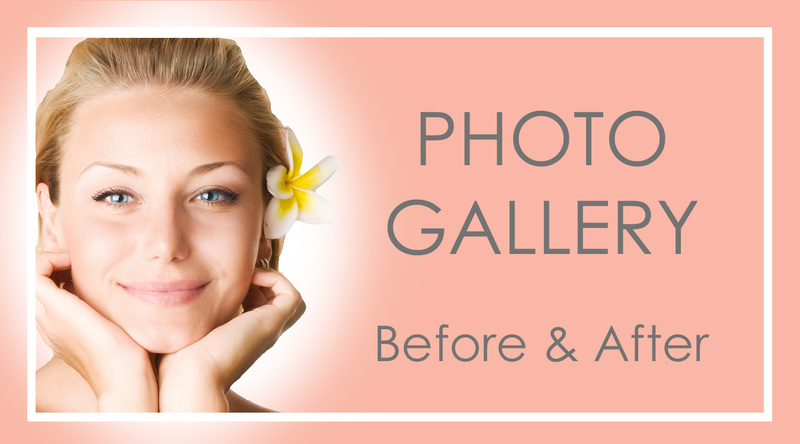 The brow is repositioned and the eyelid is refreshed which provides a rejuvenated appearance to the upper face and peri-ocular area. 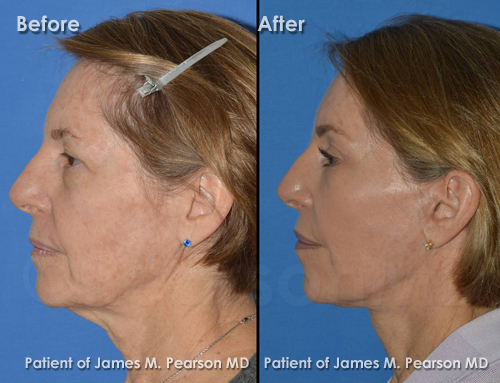 Volume is restored with the patient's own fat, which is meticulously grafted to regions of age-related volume loss. 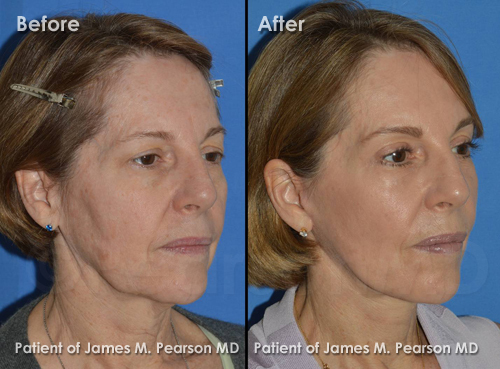 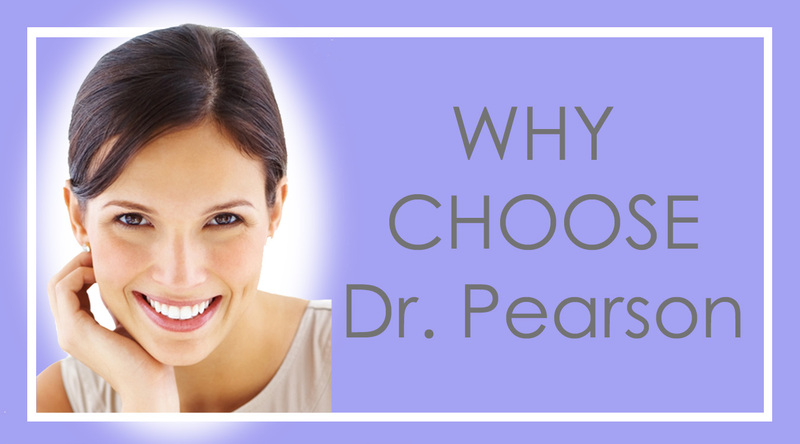 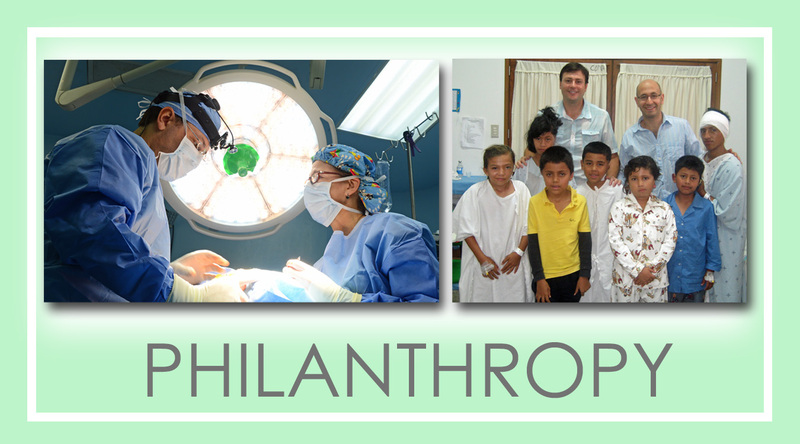 Overall, the facial appearance is significantly rejuvenated while maintaining a natural 'un-operated' appearance.